Mr. Andrew Young Meng-cheung joined Hong Kong Science and Technology Parks Corporation (HKSTP) in September 2011. As the Chief Commercial Officer, Mr. Young is responsible for formulating and executing strategies and policies to engage with technology companies and institutions to enrich the ecosystem for technological innovation. He is also responsible for drawing up strategies for strategic partnerships with industry associations, universities and research institutes both locally and internationally to facilitate technology transfer and commercialisation. Mr Young is in charge of the Incubation Programmes and Corporate Venture Fund to nurture Tech-Entrepreneurs. Mr. Young brings more than 20 years of experience in senior management positions in the high technology industry and a strong network of contacts in Hong Kong and overseas. In his past work exposures, Mr. Young has successfully identified business opportunities, associated with technology and diverse fields covering biotechnology, engineering, material science, design and soft technology. Mr. Young is a seasoned executive in entrepreneurship, technology transfer, spin-off companies, management and marketing. 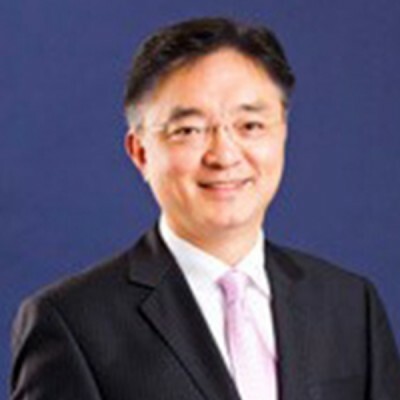 Prior to joining HKSTP, Mr. Young joined the Hong Kong Productivity Council as Senior Consultant and later was appointed as the Director of Partnership Development of the Hong Kong Polytechnic University (PolyU) where he set up the Institute for Enterprises that forged close partnership between commercial sector companies and the university. He also set up the PolyU Enterprises Ltd. and managed related technology spin-off companies, including the renowned MyCar electric car project that he initiated in 2002 and implemented all the way through the company’s merger with a US enterprise in 2010. Mr. Young obtained his Bachelor of Engineering Degree in Mechanical Engineering from the South Australian Institute of Technology and a Master of Business Administration Degree from the University of South Australia.